In order to preserve fodder or cattle, it is necessary to use effective, robust structures that can withstand weather conditions. An important component of warehouses, remittances and sheltering are the closures: they should first ensure the maximum opening speed in these types of environments, characterized by frequent passages for continuous freight-loading operations. Locks and gates for agricultural storage and animal shelter also have the function of allowing adequate light transmission inside the building and a perfect visibility both from the inside and from the outside. Trivellato Srl proposes four different types of closures and covers for agricultural storage and livestock housing, in order to meet different needs. The main closures are Velo Pack packing doors and sectional doors. The first closures, thanks to a fast opening and closing system, are able to facilitate frequent and rapid transit. This makes them particularly suitable for agricultural storage warehouses. Sectional doors, suitable for both storage and animal storage, are durable and feature thermal insulation: thermal dispersion between environments is thus avoided, contributing to the welfare of livestock inside the stables and improving productivity. The mobile covers are made of a modular support structure made of galvanized steel and a PVC cover. Independent and self-supporting, they do not require building concession; They can be mobile or fixed. Extremely suitable for storing farms, make freight loading and unloading fast and safe. Sliding curtains, made up of a PVC towel with reinforcement tubes, are a practical and economical solution for opening and closing, when needed, shelves and warehouses of various sizes; They resist the sun and the wind. Safe working: guarantees trivellato s.r.l. Working under optimum conditions is a worker’s right: Trivellato designs and tests the best industrial locking systems that ensure perfect efficiency and protect the well-being of the company at all levels. The premises for the storage of goods or the parking and transit of vehicles, the laboratories and the various departments where the company is structured often require the presence of REI doors and gates with the necessary national certifications in this area. Every industrial, small and large size reality corresponds to a type of personalized closure that creates a protective barrier in the event of a fire. REI is the acronym of the three French words that qualify the so-called firefighter doors: mechanical strength, flue gas and combustion gases inside the room where the fire has developed, thermal insulation. Technically updated research on the basis of the results obtained in Europe and overseas concerning accident and fire protection has allowed Trivellato to study appropriate solutions even in the presence of explosive atmospheres (ATEX). After a possible check-up, REI doors and doors are approved to withstand 60, 120 or 180 minutes under the action of flames and toxic gases without deforming. When it is not possible to install sliding fire doors, one or two swing doors REI represent the appropriate response to the required performance type. Closing occurs automatically, after the alarm signal, by the central control or by means of a thermocouple from any position taken. The doors are equipped with 3 hinges on ball bearings (one is spring-loaded for self-closing), cylinder lock, double handle and thermoswitch gaskets. When temperatures rise sharply, self-extinguishing gaskets naturally expand but do not lose sealant capacity, do not move and prevent the spread of harmful fumes. Doors and fire doors are technologically lifelike superheroes if they are made with state-of-the-art materials and are carefully and passionately installed by experienced personnel. What closures for composting plants? Special contexts such as composting plants require the installation of industrial closures with specific features. Trivellato Srl offers various solutions in this regard, each suitable for this specific use. Here are some examples! Velo Pack is a last-generation mobile cover, whose main advantages lie at closing speed as well as adaptability to different types of structures; Fully PVC, it guarantees weather resistance over time. These covers are also built according to UNI EN 13241-1: 2001. The Velo Pack Atex version is the best solution (Directive 94/9 / EC) for a motor for those who have to resort to continuous movements of materials. Velo GD Pack – large size – represents the best solution for large amplitude inputs; Lastly, there is a Velo Pack version with packing door designed for crawler environments, both in standard size and in large dimensions. All these solutions are suitable for composting the products. In the specific case of composting shells, three other alternatives are offered: sectional doors, moving covers and sliding curtains. 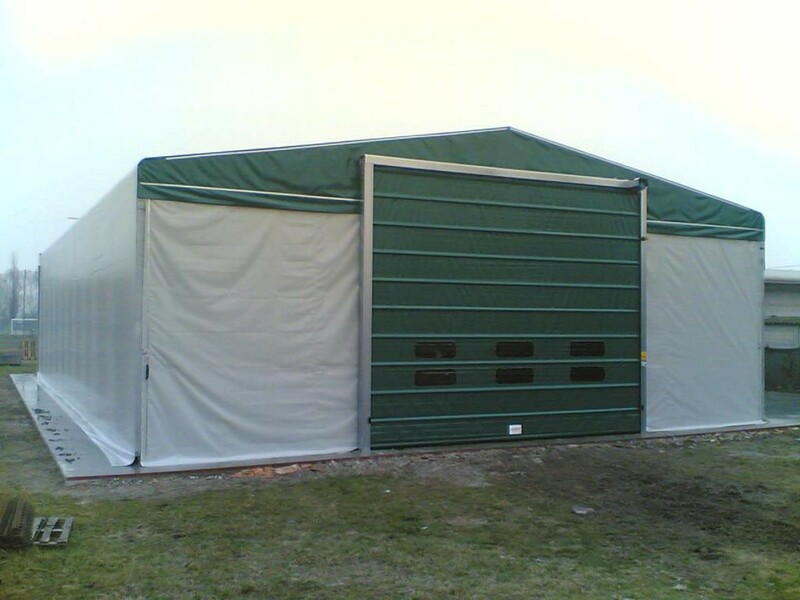 The first are solid and robust steel closures; They guarantee silence during operation and good thermal insulation from the outside, can be used for both garage and home and department stores. Mobile closures are ideal for storing goods both fixed and mobile, and are perfect for loading or unloading. Sliding curtains are the cheapest solution; Made of PVC material, they facilitate both closing and opening through vats of different sizes. All the solutions offered by Trivellato are customizable. The choice, both in terms of cover types and in terms of customization options, is very varied: according to the specific requirements, it is possible to choose the most suitable product types to provide the composting of the best possible closure ! If you have large openings, if you have to handle large spaces, if you need to put windows and portholes to improve indoor / outdoor visibility, and vice versa, if you also need a certain ease of maintenance and use, There is no doubt about it: the most suitable solution is the use of book gates. Let’s find out together what are the features and advantages of Trivellato Srl’s bookcases: adaptability to the most diverse dimensions according to an ad hoc modular design; The great versatility guaranteed by the availability of a wide range of finishes and colors; The unmatched robustness ensured by the use of high quality materials. But we go into more details of some of the technical specifications that characterize the products: the thickness of the doors formed by two galvanized steel sheets ranging from 52 to 82 mm guarantees the customization of the modules according to their specific uses; The morphology of the internal structure, consisting of galvanized steel tubes, gives strength to the modular elements that make up the door; Rubber side gaskets and PVC upper and lower brushes ensure sealing and ease of use, while book scroll optimization and silent handling are assured by 4-wheeled nylon carts moving on Dust proof ball bearings. Specifically, the folding door proposed by Trivellato Srl are their field of application in the industrial realities, in the space management of large rooms and in favor of logistic operations involving warehouses. Solutions designed specifically for each type of intervention and customer’s need find innovation and research policy, value-for-money optimization and high-quality standards as the foundation. 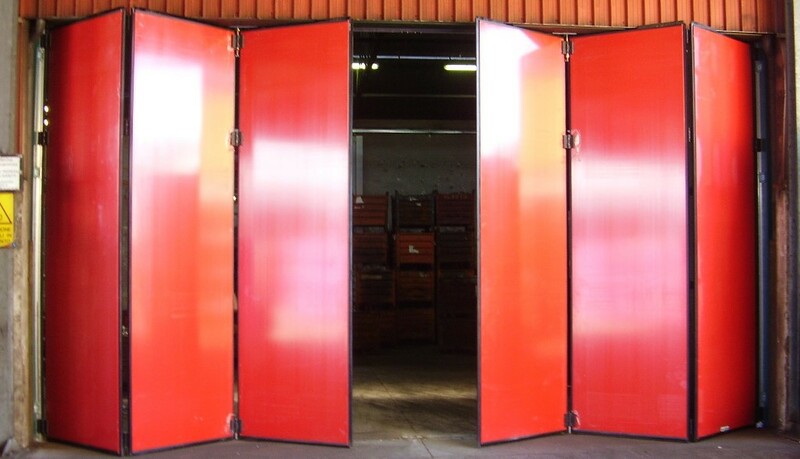 Among the industrial closures that can be used for large compartments, several large doors and similar solutions can be considered. When referring to large industrial compartments and doors, it is impossible not to mention crane, mobile covers, bookcases, sliding curtains and Velo Pack. Each of these industrial closures is characterized by specific features and can be used in Different contexts. The Velo Pack is one of the most popular solutions among industrial closures for large compartments: this is a packing door that can guarantee excellent performance both from the point of view of resistance and the reliability of the closure itself; The ability to customize this type of door allows you to adapt the Velo Pack to any compartment. Among the models available is the Velo Pack Carroponte, a closure conceived precisely for the large compartments with a crane: this allows the passage of the crane and is often used to divide the various spaces into industrial warehouses. Mobile covers, often used as an independent structure, can be positioned at a large compartment to facilitate loading and unloading of goods. A complete and versatile solution at the same time is that of bookcases: this industrial closure, as well as providing a high resistance, can reach significant dimensions and be chosen for the largest compartments; The versatility of the bookcases is also given by the ability to customize the door with finishes, accessories and windows. Finally, you can opt for an economical solution by choosing to close the large compartment with a PVC sliding curtain: reinforced and equipped with a windshield structure, sliding curtains allow you to open and close the space enclosed by the large compartment. Trivellato S.r.l. Dedicates itself to industrial and civil closures without forgetting the passion and enthusiasm of the beginnings. The wide range of offers gives the customer the choice of product that suits their needs: both large and small and medium sized businesses require a different type of closure, appropriate to the size of the construction and the various types of services offered to public. 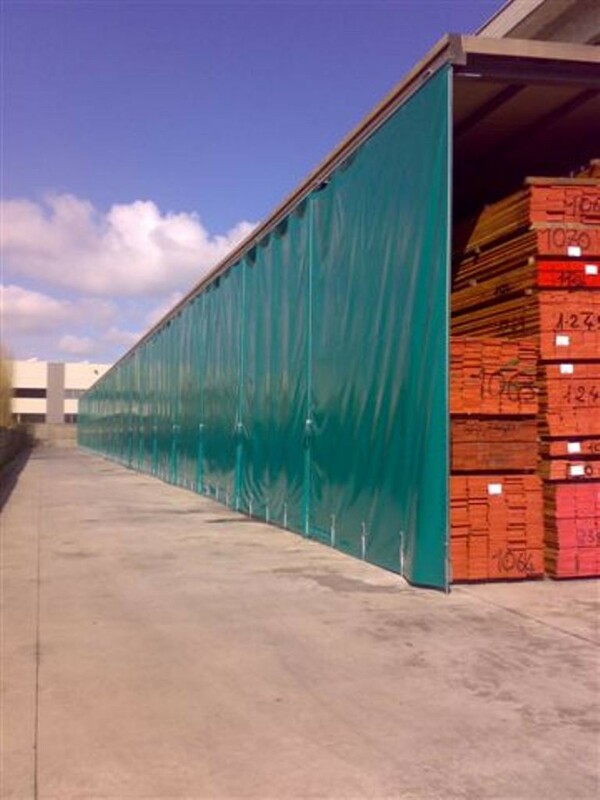 Sectional doors are the perfect solution for closure of warehouses, storage centers, loading / unloading points, moving media environments, and all industrial logistic realities. Even small businesses with available warehouses and consequent supplies of materials and merchandise need a door model that allows access to the premises with as little space as possible: Vertical sliding sectional doors reach the set goals. The need for wide openings increases if the company is large in size, resulting in increased traffic of personnel and vehicles. Only after targeted on-site inspection, Trivellato specialists can design in-doors and realize 3D computer rendering (rendering) graphics to show to the customer along with an interesting customized quote. The sectional door is made up of the mantle, the balancing helicoidal springs located in the arches and the sliding guides provided with gaskets. The horizontal panels that make up the mantle are often insulated steel, which guarantees excellent thermal insulation and an appreciable resistance to temperature fluctuations. The hinged panels run smoothly and smoothly in parallel to the walls with solid wheels, while sealing is on the floor and in the lintel. The sectional door moves manually or automatically at a distance: everything is done safely and with the least possible environmental impact. The constant technical installation and maintenance of the technical team guarantees functionality and durability over time. It guarantees Trivellato, an important sign in the industry of state-of-the-art industrial closures. Load points are systems designed to make loading and unloading operations more efficient by cooperating with three distinct elements: the isothermal portal, the loading ramp and the sectional door. A point of loading is essentially a linkage facility, within the logistics and logistics management of warehouses and transport, between indoor and outdoor environments, allowing safe and secure loading and unloading operations. The elements that contribute to forming a loading point play essential and distinct functions. The isothermal or sealing portal, above all, allows the “communication” between warehouse and automezzo; It offers timely and timely shelter to unloading / unloading personnel, while also protecting goods from atmospheric phenomena. In addition, it is able to avoid thermal dispersion between environments. The load ramp connects the floor of the warehouse to the floor of the car, allowing quick and safe goods loading and unloading. It can have a capacity of 6000 or 9000 kg. The sectional door closes the warehouse when no loading or unloading operations are in progress; Can be manual or motorized, and optionally integrated with one or more portholes from which you can observe the movements of the medium. The loading points of Trivellato Srl are carried out according to high quality standards and in compliance with current regulations. They are equipped with an automatic safety device that can control the drop speed of the ramp when the truck is suddenly removed. The materials used in making these systems, such as rubber, PVC and galvanized steel, are durable and durable. For the color of the thermal portal can be chosen from gray, blue, yellow and cream. 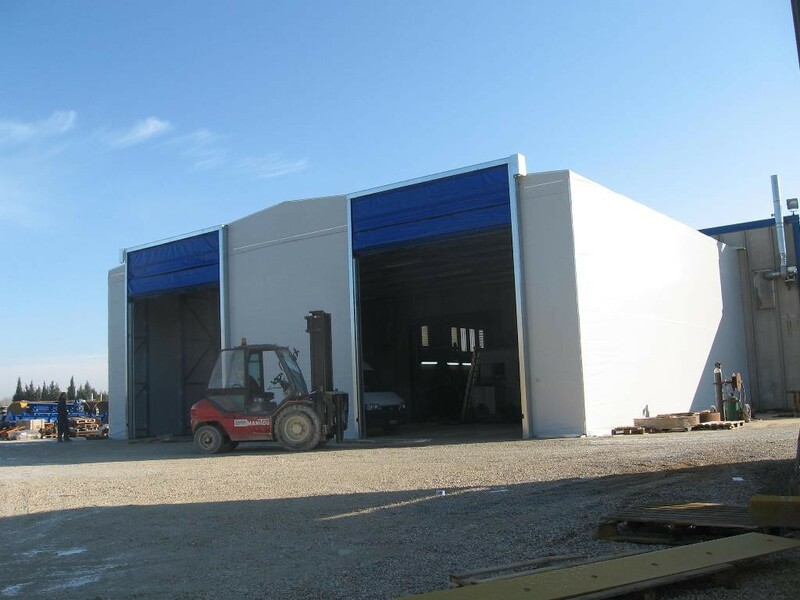 The industrial door installation represents the last stage of creating an industrial door and follows the theoretical design phase and the practical implementation phase. The importance of this passage is even more important considering that this is the end of a long journey; For this reason, it is essential to complete the installation of an industrial door with extreme care and accuracy. 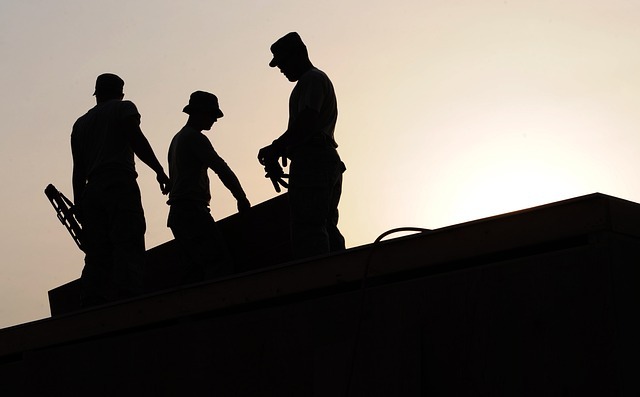 Trivellato Srl pays particular attention to the installation phase, providing on-site support and continuous support to meet the most demanding requirements and needs. Making industrial closures can be more or less delicate, depending on the specific conditions. The installation of industrial doors, in fact, can be a simple and straightforward passage or very complex and articulated. To minimize the difficulty and limit the required engagement, you can opt for a practical solution that will make the assembly step leaner; Among the many, we can mention the closure systems with packaging cloth. Alongside these, there are no simpler implementations to manage during the installation phase, but equally effective and safe over the long run. Regardless of the solution chosen, referring to professionals in the industry allows you to avail the best services and to achieve the desired result. The industrial gateway installation phase can be started and completed in the most disparate contexts, even in apparently critical contexts. 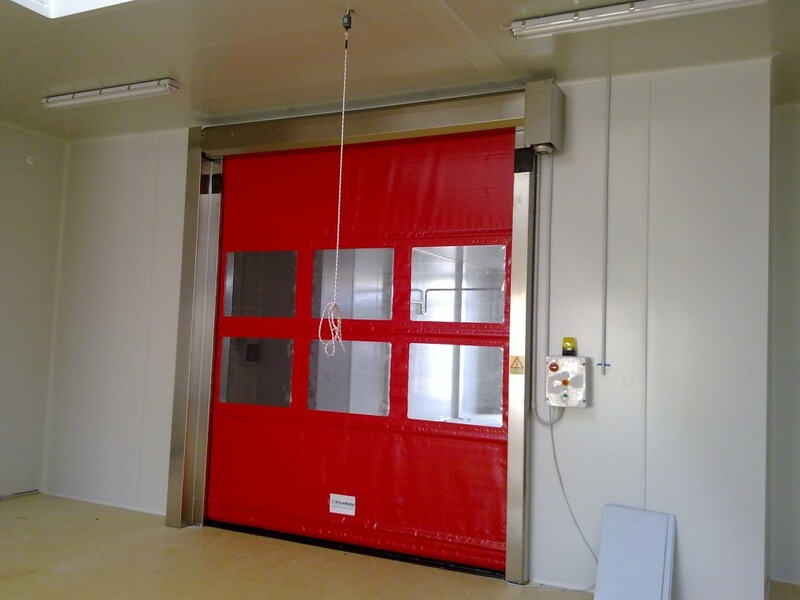 Experience in the industry and the use of state-of-the-art equipment make it possible to mount industrial doors even in difficult conditions. Once again, the professionalism of companies specializing in industrial closures, such as Trivellato, offers the ability to successfully complete any project. 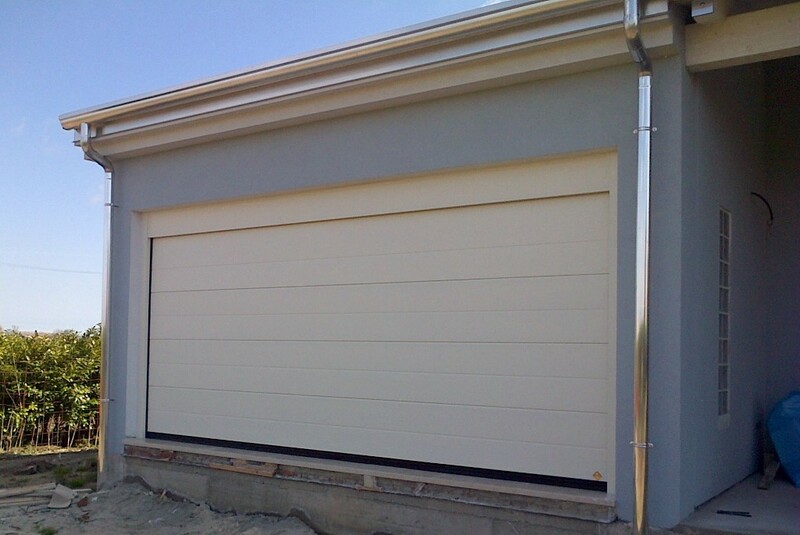 The sectional doors are equipped with a solid closure, made of thick, insulated steel with hinged sliding doors. Among their peculiarities are the thermal insulation capacity, reduced space, silence and extreme versatility of use. The installation of these industrial industrial doors, in fact, is possible both in the light and on the outside of the compartment. Lifting is ensured by a complex twist-spring system and its use is protected by a double safety device that prevents the wear. Sectional doors are used in locks for garages, private residences, warehouses, logistic centers and loading and unloading points. 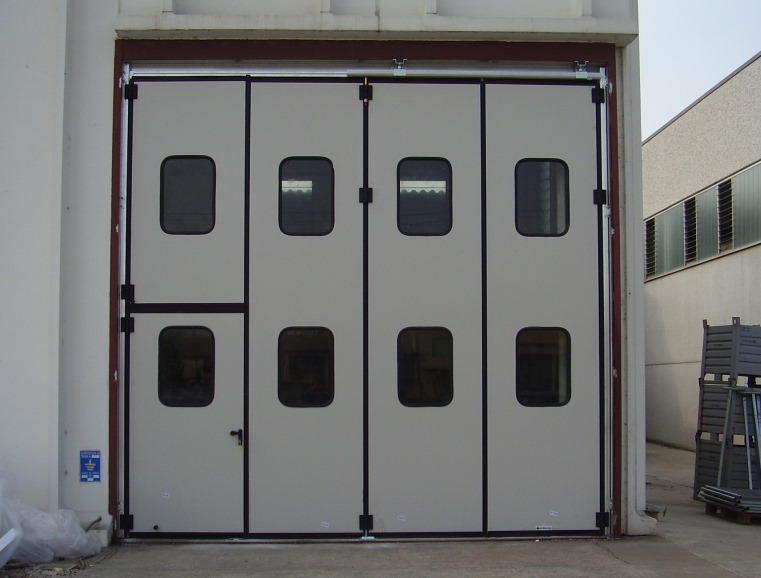 At customer’s discretion, these industrial industrial doors can be made either manually or remotely. Bookcases are equipped with a particularly robust closure and adaptable to any kind of environment, as well as one or more windows for the purpose of giving greater visibility from the inside. The doors are made up of two galvanized steel sheets, as well as the internal structure; The brushes, on the other hand, are made of PVC and EPDM rubber gaskets. Bookcases are locks suitable for different types of warehouses and buildings. REI doors are certified fire proofs and fire resistant REI 60/120/180. REI ports are required by law in all environments where there is a risk of fire: they are usually installed near stands, warehouses, car parks, warehouses and industries. Each door is provided with three hinges: one of them contains a spring for self-closing. REI doors are made to high safety standards, regulated by UNI 9723 and the Ministerial Decree of 14/12/1993. What are the fast Quick rolling doors? Quick rolling doors, also known as Velo Roll doors, are a practical and innovative solution that is based on the winding of a towel around a support tube. Compared to previous generation Quick rolling doors compared to these, Velo Roll doors offer superior performance, particularly in terms of functionality and insulation. These doors can integrate a series of portholes, also distributed over multiple files, allowing excellent visuals from the inside to the outside environment and vice versa. Finally, using a specific insulation, quick-rolling doors can also be inserted even under low temperature conditions, up to -25 ° C. Velo Roll doors are built according to UNI EN 13241-1: 2001. Which contexts do you use? The versatility of the fast rolling system allows you to use the Velo Roll doors in the most diverse contexts. 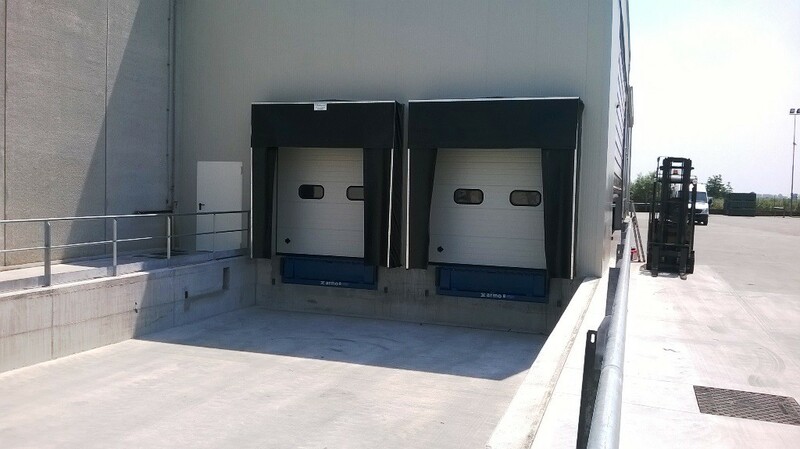 This solution is taken into account above all for industries and warehouses; At the same time, thanks to its specific features, a quick-rolling door can be inserted inside workshops and car wash. 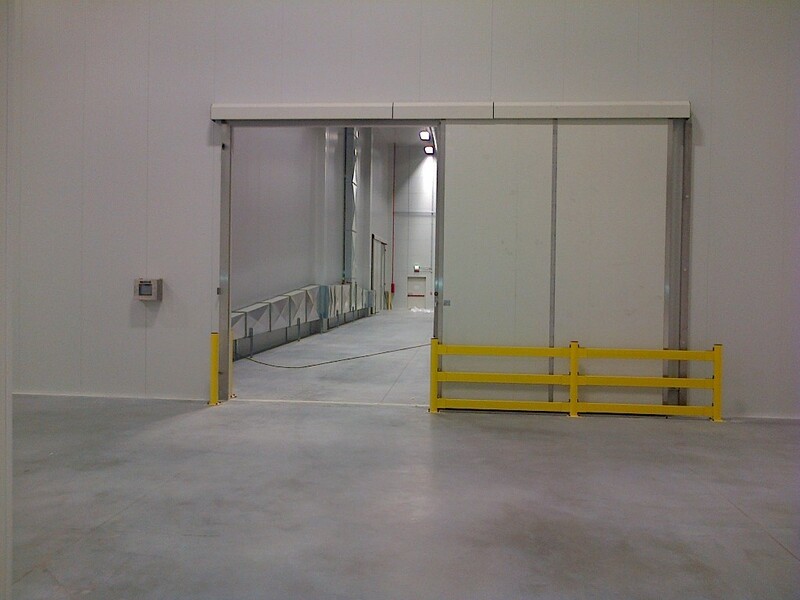 In general, Velo Roll doors are the ideal solution when you need to isolate an environment but not much space. Quick rolling doors allow you to protect the indoor environment from pollution, specifically from the acoustic and atmospheric conditions. The Velo Roll hatch covers, in the same way, contributes to maintaining an optimal thermal equilibrium. In the passageways, it is particularly advantageous to open and close the door at a speed that can reach 0.75m / s; Nevertheless, the opening and closing mechanism is absolutely silent. Last but not least, rolling doors are characterized by a minimum footprint.